The word semantic means 'relating to meaning in language or logic'. 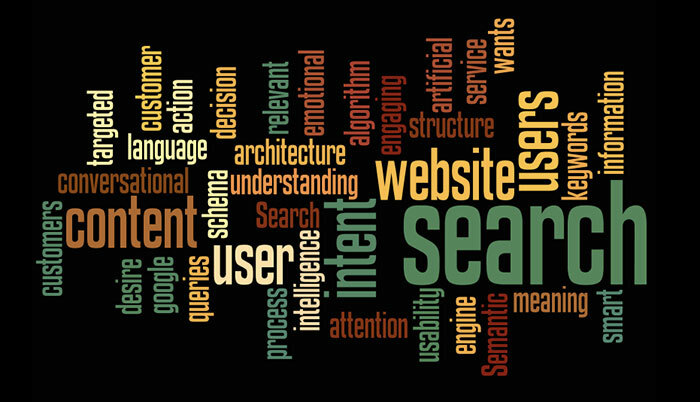 Semantic search is the clarity of intent when it comes to search engines and delivers the user more meaningful results; it's more accurate and succinct to the user's intention as oppose to robotic search results. You could think of it like conversational search, which provides more targeted and meaningful search results from the most relevant sources. The contextualisation of keywords is known as semantic search. Semantic search checks for context and intended meaning behind these keywords. You should use relevant keywords and phrases in a more natural manner on your website and not just calculated keywords that merely seem to be relevant to a search query. Your content must be relevant to your brand, business, services and most importantly to what the user is searching for. Your content must also be shareable as social search has become a key player for SEO and semantic search, particularly when it comes to Google profile. You need to deliver relevant content that helps users and make everything easily available within a few clicks. Your website should be geared to the user's interests and try to be in synergy with them. It's not what you're selling to the user, it's what the user wants to buy from you, therefore optimise the content for the user's intent and not what the business intends from the user. Google's algorithm also takes into account factors like user experience and information architecture. There are a colossal of other website factors that are just as crucial. All of this together is known as your page authority. Page authority applies more to the individual pages so take care of each and every page on your website. It's about utilising the usability to increase the user's desirability. The more positive experiences the users have, the better your ranking. Think of it is as some sort of online karma system if you will; good goes in, good comes out. The same rules apply to the website itself. You can also think of Google semantic search as an artificial intelligence medium, it has a conscious and is fully aware of everything that is on your website and crawls for valuable information to generate back to the user. Search engines looks at websites as a whole as well so either design your website like you give a damn, or hire someone who can. If you’re serious about your website then you need to be serious about the design, usability, relevant content and information architecture. Make it built for purpose - Structure your website effectively and position information where the user is most likely to find it. Let navigating your website be at the fingertips of your users. These days SEO is a lot more than just keywords. They’re important, sure, but they aren’t the be all and end all of content creation and page rankings as they use to be. Keep this in mind and your website should place well on search engines. Google are getting smarter in their algorithm and your website needs be up to par, so get smarter too. Offer ›› Get in touch for a free 20 min website review.